The Mobile is growing at a fantastic pace. Not just in screen size and technical specs, but in usage as well. For some businesses, the mantra these days is 'Go mobile, or go home'. If you're a webmaster, you know all too well the struggles of maintaining a mobile site. To help you along, Google has introduced a mobile-friendly test tool to see if your mobile passes Google's criteria for what it considers to be a mobile optimized website. 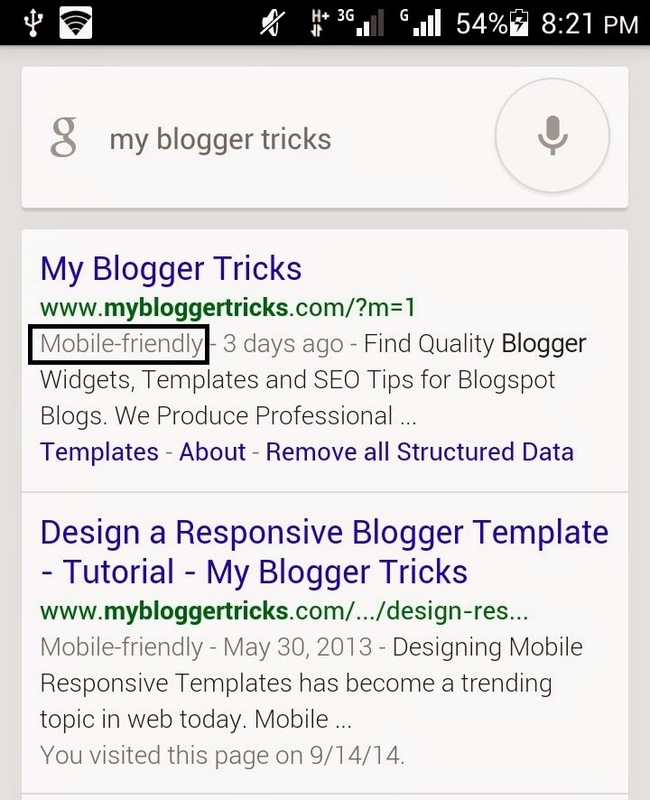 Google is adding a 'mobile-friendly' label in its mobile version next to search results. This label will let users know when a website is mobile optimized. Although this is a new feature, I think it is safe to say that users will be likelier to click on a site labelled 'mobile friendly' than a non-optimized websites, and that this label could potentially boost your website's CTR for mobile search. Hence another reason to consider 'passing the test'. You could potentially be turning away mobile visitors and/or be ranked down in mobile search by not meeting Google’s criteria. This change will be rolled out globally over the next few weeks, so don’t worry, you still have time to get your site up to speed. If you think your website passed all the criteria mentioned above, you can take the Google mobile-friendly test to find out if your site qualifies for a 'mobile-friendly' label. If your site doesn’t pass the test, the tool will point out exactly why you didn’t pass and give you some steps to follow to correct the issues. The tool is currently only available in english, but will be rolled out worldwide over the next few weeks. What do you think about this new 'mobile-friendly' label in mobile search results?